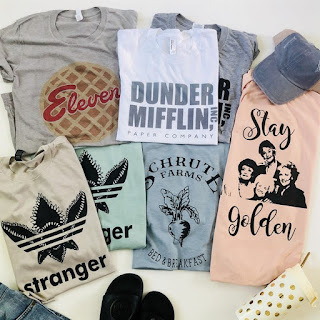 My Music City Mommy - Family Savings - Nashville Tennessee: Favorite TV Inspired Graphic Tee ONLY $13.99 "Stranger Things + More"
Favorite TV Inspired Graphic Tee ONLY $13.99 "Stranger Things + More"
How fun! Right now your Favorite TV Inspired Graphic Tee ONLY $13.99 "Stranger Things + More"! $3.99 for the first item and $2.49 for each additional item. US only. Ships no later than Sun, Jul 22.